People wait for aid next to makeshift raft at a flooded area. INDIA: Receding flood waters left Indian troops and rescuers the grim task Monday of hunting for bodies left by the worst monsoon in a century in Kerala state as the death toll rose above 400. After a week of fierce downpours, rainfall eased Monday and flood levels have fallen in many districts. Army helicopters and boats kept up missions to find trapped survivors and drop food and water in isolated villages. Officials said 22,000 people were rescued on Sunday. At least 30 bodies were also found taking the death toll above 200 since the torrential rain started falling on August 8 and more than 400 since the monsoon started in June. Kerala Chief Minister Pinarayi Vijayan said the priority now was to provide clean drinking water and restore power supplies to the state of 33 million people. “The total number of people taking refuge at the 5,645 relief camps has risen to over 800,000,” Vijayan told reporters Sunday. He said health officers would be deployed in each village to check the spread of communicable diseases. Thousands of army, navy and air force personnel have fanned out to help those stranded in remote and hilly areas. Dozens of helicopters have been dropping tonnes of food, medicine and water over areas cut off due to damaged roads and bridges. 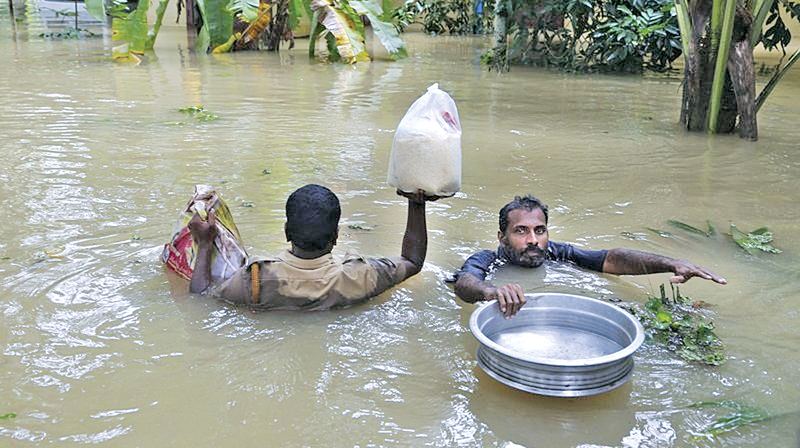 In worst hit areas such as Thrissur and Chengannur, rescuers are searching inundated houses where they have found the bodies of those trapped by the fast rising floodwaters. 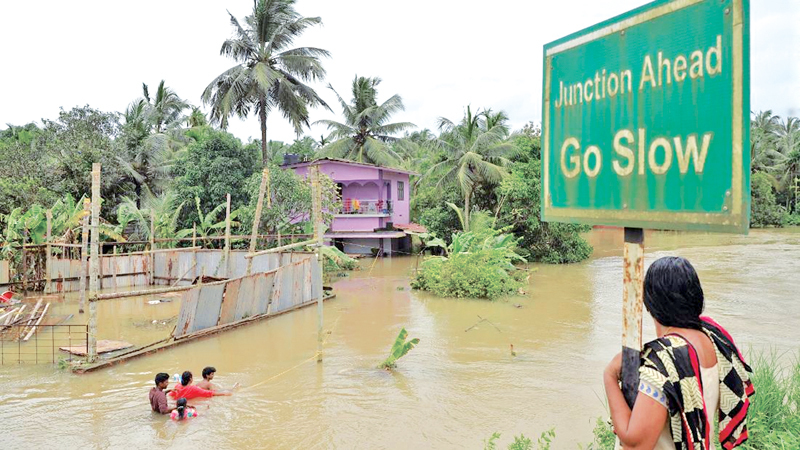 “They didn’t think that it would rise this high -- 10 to 15 feet at some places -- when the initial warnings were issued,” said Ashraf Ali K.M, who is leading the search in the small town of Mala in Thrissur. Fishermen have sailed inland from Kerala’s coast to join the search, as volunteers set up soup kitchens and an international appeal was made for financial help. Vijayan praised the fishermen for joining the rescue mission. The state government said each boat would get 3,000 rupees ($43) for each day of their work and that authorities would pay for any damage to them.